Living in the UK is brilliant as there’s so much to see and do and pretty much all within a few hours drive. It’s perfect for staycations or just days out exploring. 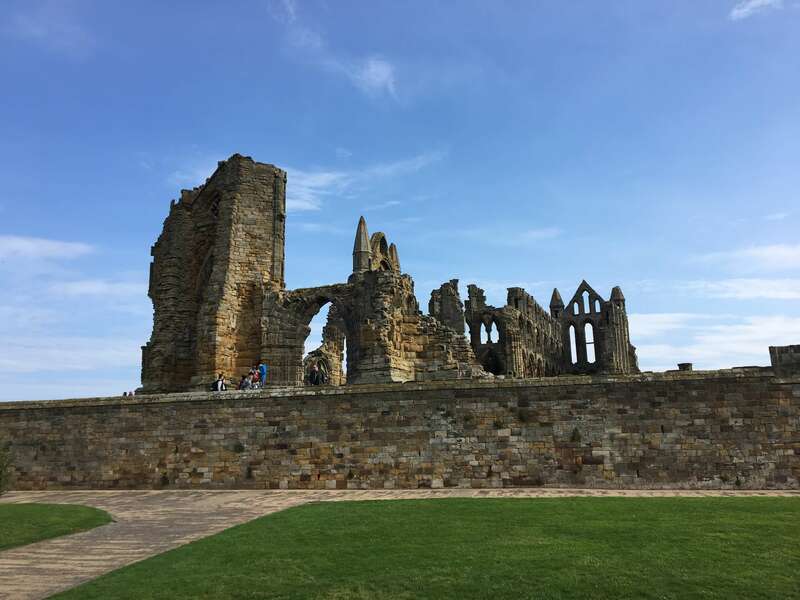 The weather forecast was good on Sunday so we packed up the car and headed up to Whitby in North Yorkshire with the dog for the day. Whitby is one of my favourite northern seaside towns. It has a beautiful harbour, a little beach and lots of quirky shops, tearooms and, of course, fish and chip shops. Oh, and don’t forget Dracula! It took us around two and a half hours to get there and once we did we parked in the harbour car park which was £8 for the day. I’d definitely recommend getting there early, especially if it’s a weekend and the weather is nice as the car parks get really full. Whitby is a really dog friendly town as well – we saw hundreds of other dogs, all keen to sniff each other and get some fuss! To be honest, we didn’t actually do much – we just pottered around exploring the harbour, the coastline, the pier and the town itself. 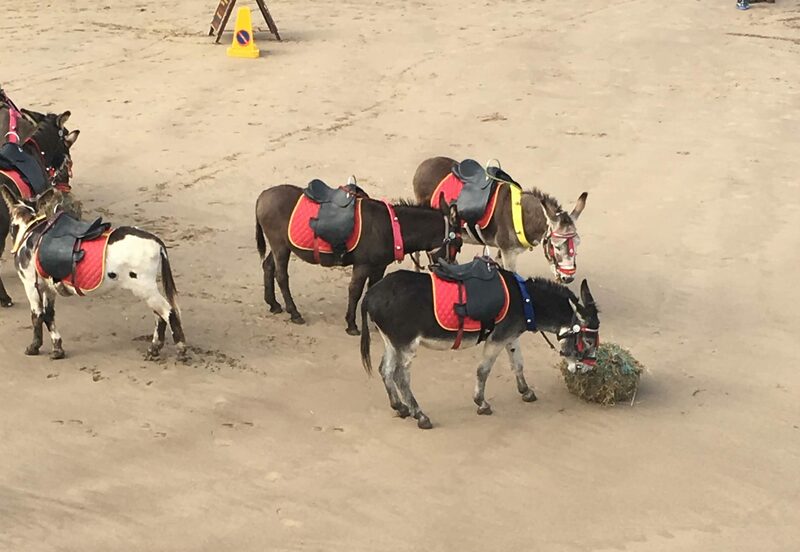 There are two or three little beaches – dogs aren’t allowed on the biggest and nicest bit (there were donkeys on here!) but they are allowed on the other little bits. These looked a bit boggy for Alfie – we didn’t want him getting mucky before we took him to dinner! We did, however, walk him round the pier which he wasn’t all that keen on as his paws kept falling through the gaps in the planks. 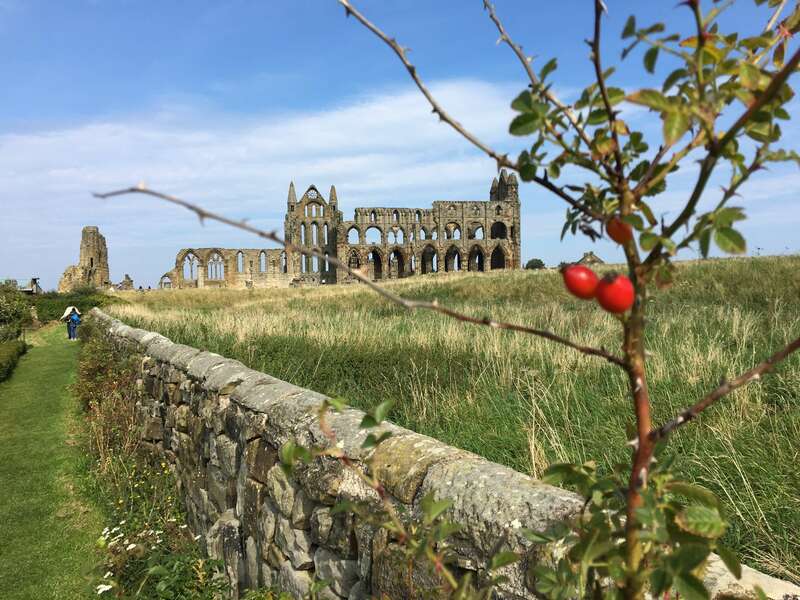 A good way to tire your dog out is to take him/her up the 199 steps from the town up to the ruined Whitby Abbey which cuts a magnificent figure on top of the hill overlooking the town. As it was such a beautiful day the abbey looked absolutely incredible. We didn’t go into this English Heritage site this time but I have been before and really enjoyed it, especially with the audio guide. There is also a YHA hostel and tearoom up there where you can enjoy coffee and a cake as well as a beautiful church and graveyard where we spent a while reading the gravestones. 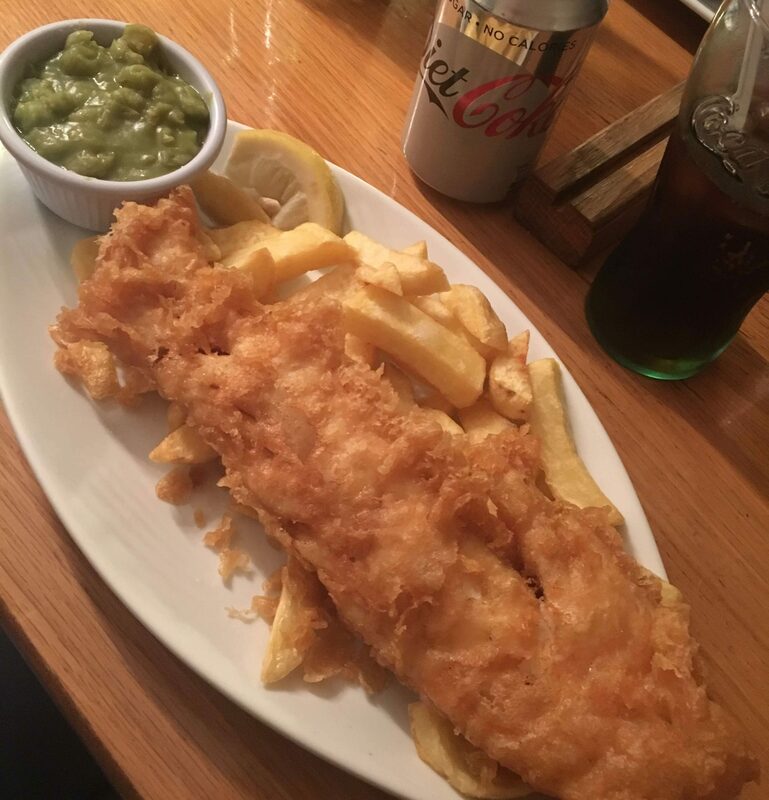 It’s got to be done when you’re at the seaside – of course we had fish and chips! We went to Robertson’s who let us bring the dog in with us. They gave us a corner table so we were out of the way of other diners which was really thoughtful. The food was also delicious – I had cod, chips and mushy peas which came as a meal deal with bread and butter and a drink so it was also really good value. 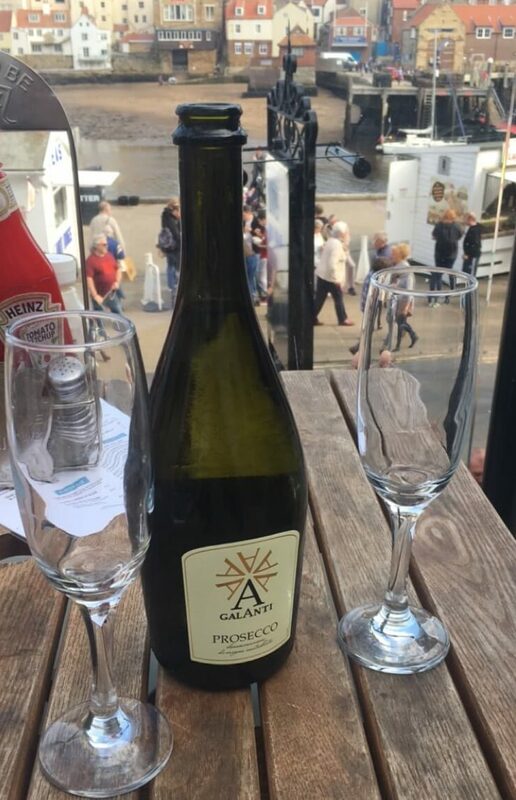 We had a bottle of prosecco at The Pier Inn, looking over the harbour. They have a terrace at the top of the bar where you can sit with your dog. They also do food here, which looked pretty good although we didn’t try it. 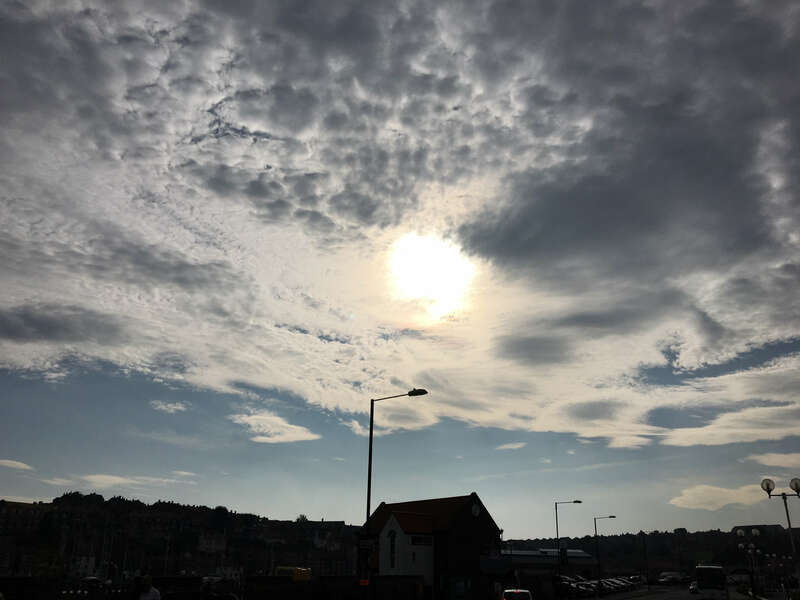 There are quite a lot of nice looking bars along the seafront which I’d like to try next time we visit – including the Moon and Sixpence who do a bottomless prosecco brunch. 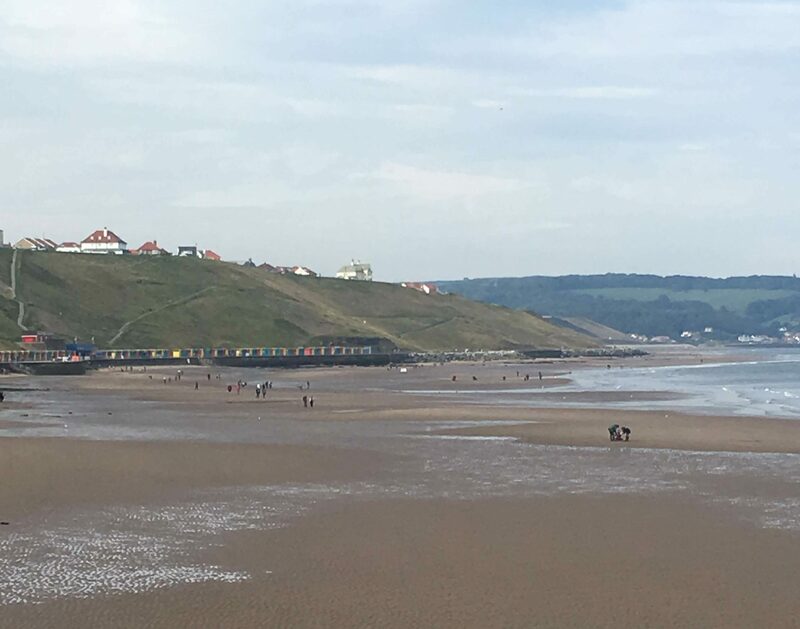 We left Whitby all feeling tired and happy – that sea air has got a lot to answer for! I really like Whitby and it’s perfect for dog friendly days out. What’s your favourite seaside town and what do you love about it? Let me know in the comments and I might even visit!